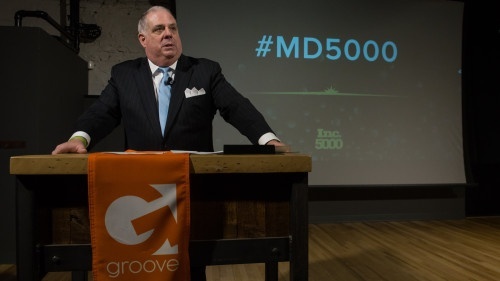 Governor Larry Hogan Joins Groove to Honor Maryland’s Inc. 5000! An idea three years in the making became a reality last week thanks to the Groove team’s hard work. 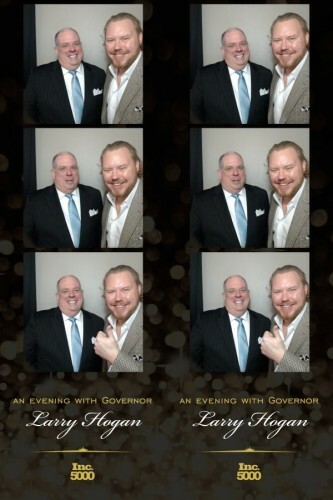 Local business leaders and Maryland Inc. 500|5000 honorees. When Groove first made the list in 2013, I was surprised by the lack of recognition the fastest growing companies in our own backyard received from government leaders, business executives and the media. 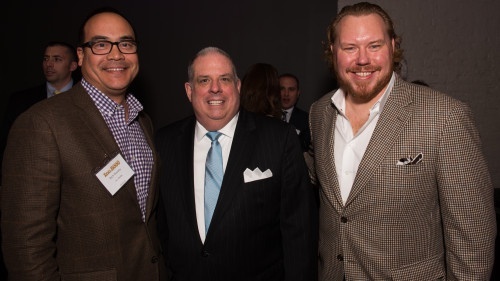 These companies chose to stay, hire, create and grow in Maryland, but were largely ignored. For us, being named to the Inc. 500|5000 was recognition of our hard work. It was like joining a lifetime club of entrepreneurs who understood the challenges, risks and demands of starting and growing a business that our teams face every day. 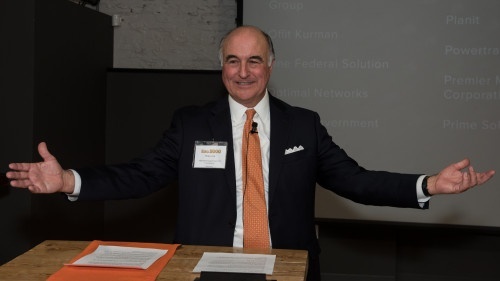 This year, with the help The Maryland Department of Commerce and law firm Offit Kurman (a four-time Inc. 5000 honoree), the 106 Maryland companies on the 2015 list celebrated their accomplishment. Groove had the privilege of hosting the event. 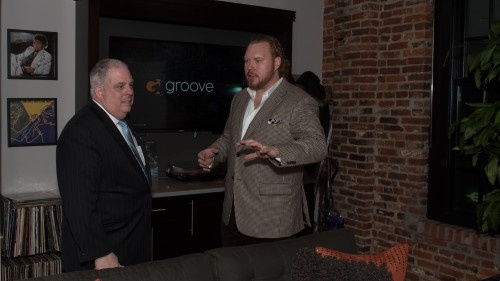 During a tour of Groove’s creative office space, Governor Hogan commented, “I want to work here!” It was a “pinch me” moment. When it made Inc.’s list three years ago, Groove’s vision was to help the local companies on the Inc. 500|5000 list understand their role and importance in our economy. Most of the companies on the list this year were founded less than 10 years ago. They have created thousands of jobs, have come to market with innovative products and ideas, and are the underpinnings of a city and state that is gaining momentum. This especially hits home for Groove. Since our list debut, we have grown exponentially and our team has been recognized on the Inc. 5000 list three years running. 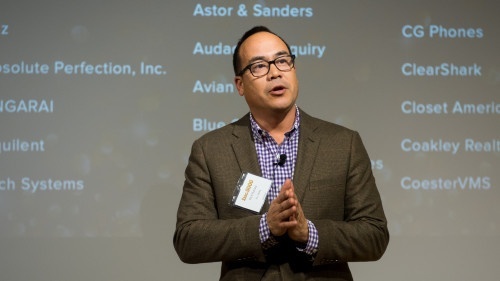 Our goal is to attract top talent and clients to our agency, ultimately showing them that Baltimore is the place to be when it comes innovation. We’ve been successful in this mission so far and I’m proud of our “Inc. 5000” team. Our growth, and the growth of all of the companies honored on the prestigious list, are because of passionate employees. 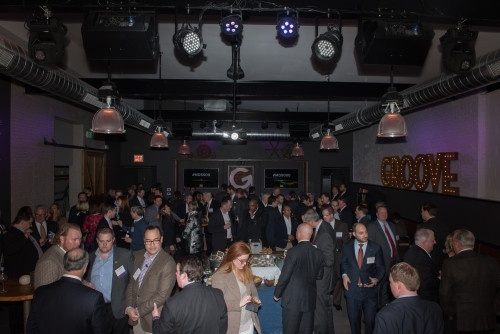 Again, thank you to all who made last week’s event a huge success. Here’s to continued “Inc. 5000” growth in 2016! The 34th annual Inc. 500|5000 list represents the most comprehensive look at the most important segment of the economy—America’s independent entrepreneurs. Companies such as Yelp, Pandora, Timberland, Dell, Domino’s Pizza, LinkedIn, Zillow, and many other well-known names gained early exposure as members of the Inc. 500|5000. The full list of Inc. 5000 companies can be found at www.inc.com/inc5000. Maryland Secretary of Commerce, Mike Gill, addresses the crowd. 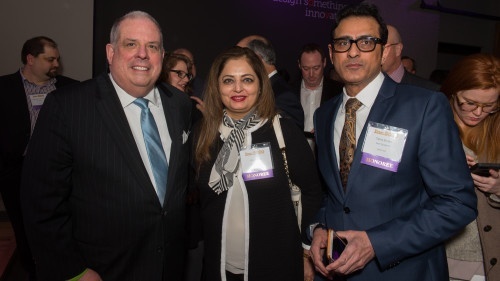 Governor Hogan networking with MD's Inc. 5000 honorees. 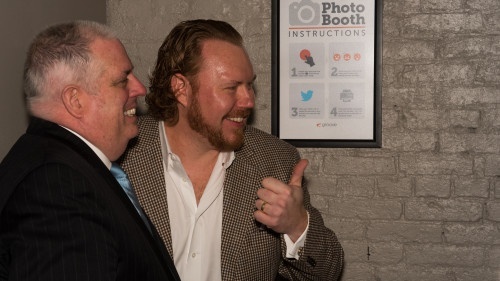 Maryland Inc. 5000 honorees celebrate at Groove. 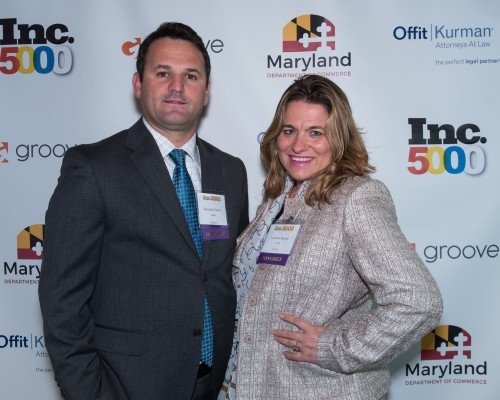 Congrats to the 2015 MD Inc. 5000 companies! 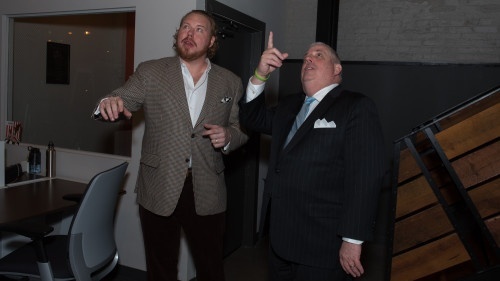 Inc. Magazine publisher, Rich Russey, reinforcing the impact of growing companies in Maryland. Live from Groove's World HQ!